Here are some of the bird photos I’ve managed to grab over the last year since I’ve been living in Taiwan. They are mainly opportunistic shots taken with my Canon G12, and as a result the quality is very variable. Nonetheless, I hope to keep adding to them over the course of the next year. 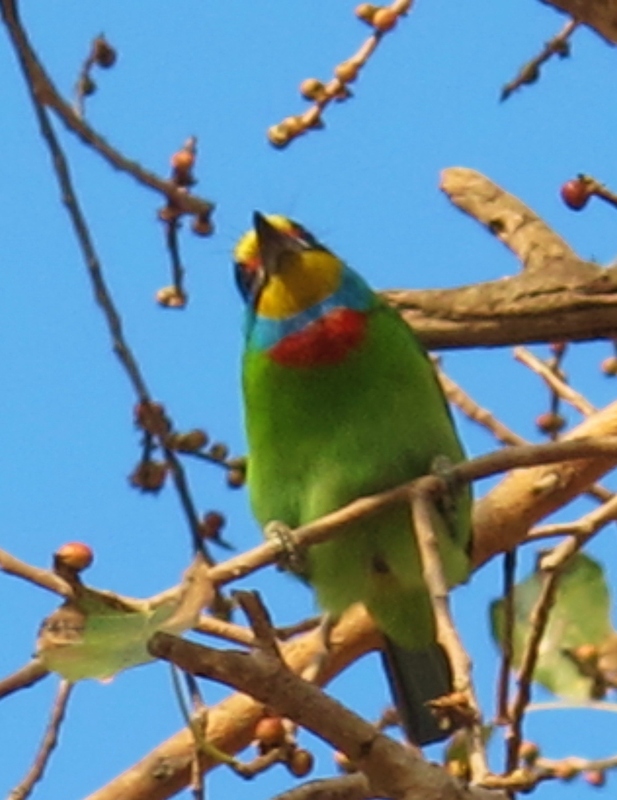 Taiwan Barbet, Kaohsiung City. This common endemic can be quite approachable and often perches prominently on dead tree branches. The difficult part is getting good enough light to bring out its spectacular colors. Oriental Plover, Green Island. I encountered this bird on a grassy coastal headland during a weekend camping trip to Green Island, off the east coast of Taiwan. It’s a rare passage migrant in Taiwan. White-whiskered Laughingthrush, Dasyueshan. A common and often very tame endemic, found only at high elevations. Certain individuals become very accustomed to humans and can often be found hopping around at people’s feet and even feeding from the hand. Vinaceous Rosefinch, Dasyueshan. 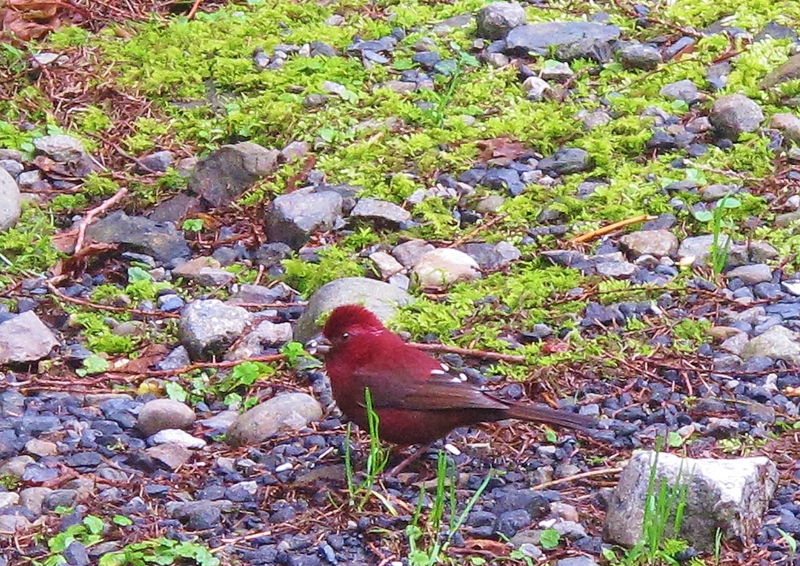 Now widely considered a Taiwanese endemic, and renamed Taiwan Rosefinch according to some authorities. 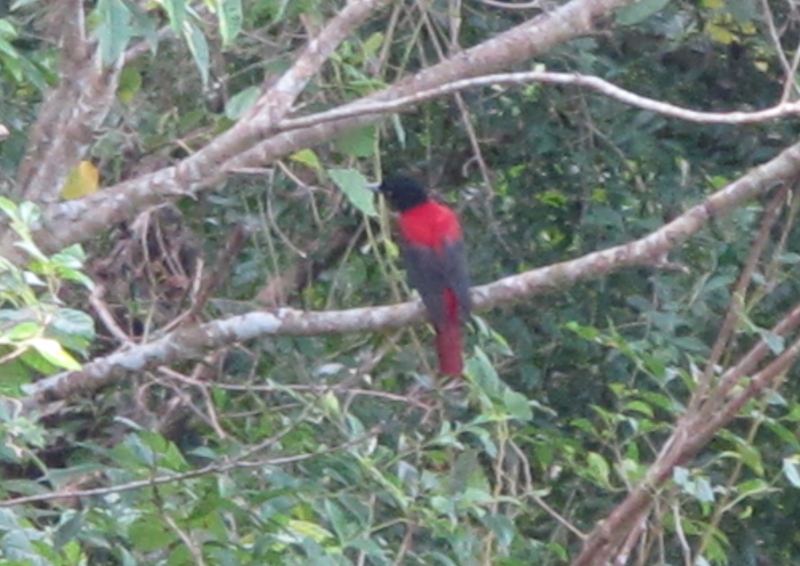 Resident in high mountains, the female is rather nondescript but the male is a spectacular deep red bird. Taiwan Sibia, Dasyueshan. A common endemic of mid-elevation mountains, it is an active bird usually found in treetops and can be difficult to capture on camera. Swinhoe’s Pheasant, Dasyueshan. 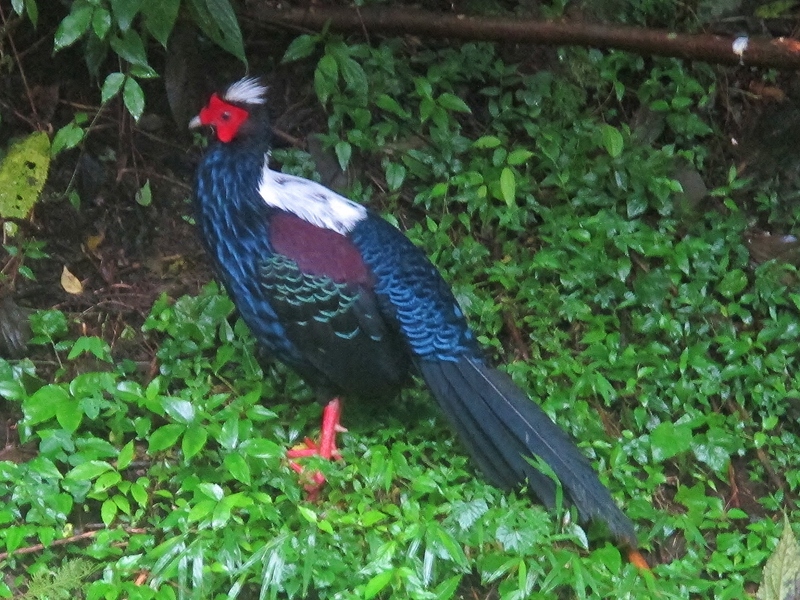 One of Taiwan’s two special pheasants, this bird is an uncommon resident of mid-elevation mountain forests. They are fairly reliably seen at a stakeout at Km 23 on the road to Dasyueshan, which is where I took this photo early one morning. 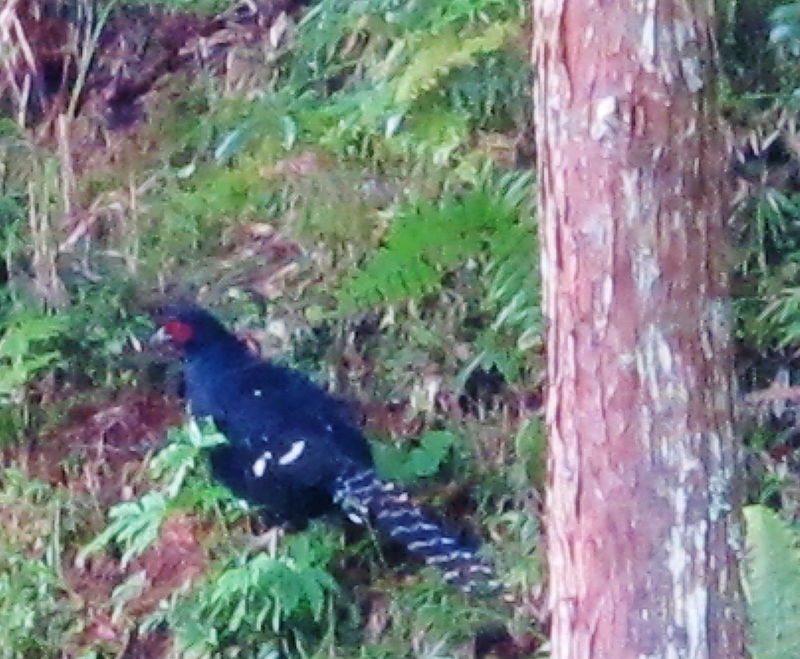 Mikado Pheasant, Yushan National Park. This is usually reckoned to be the hardest of the endemic pheasants to find. A good place to try is Highway 18 between Alishan and Yushan, where birds sometimes emerge from the forest to feed on the grassy verges at first light. That is where I grabbed a snapshot of this male just before it disappeared into the trees. 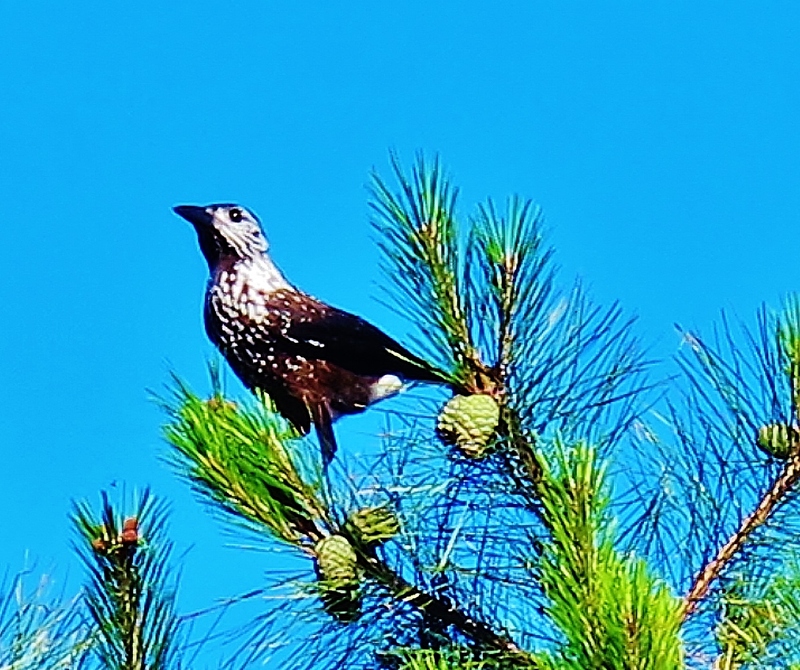 Spotted Nutcracker, Yushan National Park. 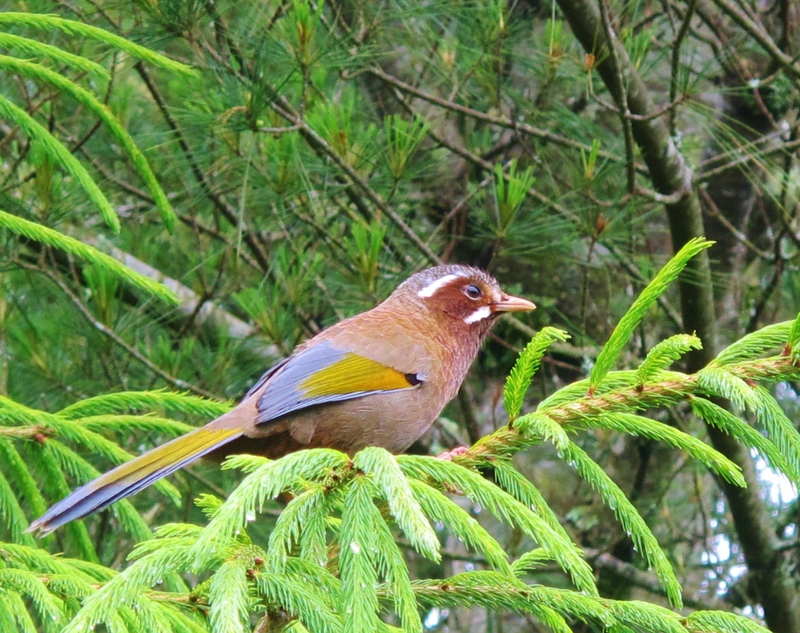 A widespread montane Eurasian species, this bird is usually easy to find around Tataka Visitor Center in Yushan National Park (altitude 2,500m). Collared Bush Robin, Yushan National Park. This attractive endemic is common in high mountains, and a few individuals seem to descend to lower levels in winter. 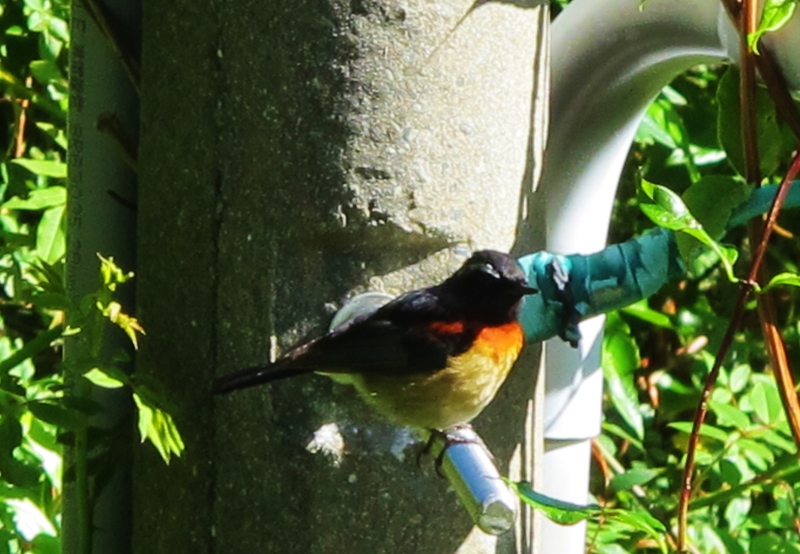 Maroon Oriole, Tsengwen Reservoir. This striking resident of low-mid elevation forests is usually considered to be scarce and local in Taiwan, although it can be easily found at Maolin and I regularly come across it in other areas, too. 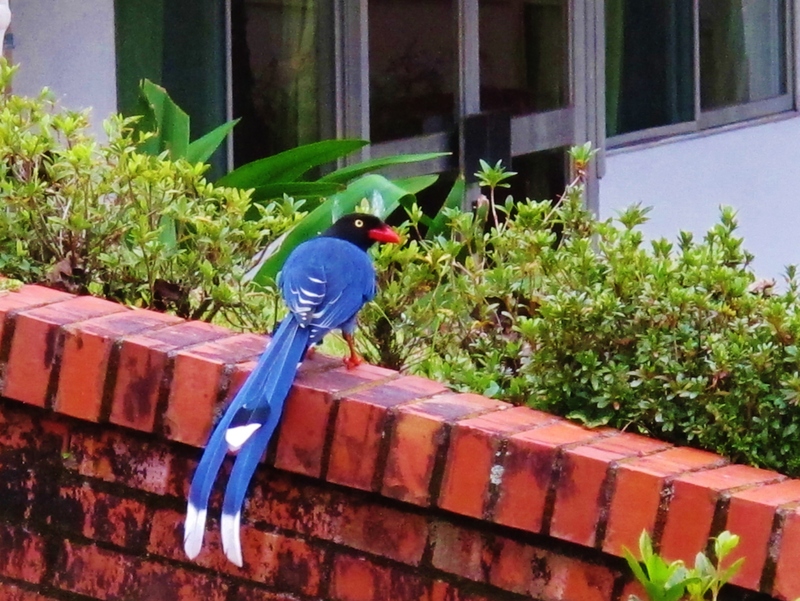 Taiwan Blue Magpie, Huisun. One of Taiwan’s most attractive, and certainly its most charismatic, endemic species. 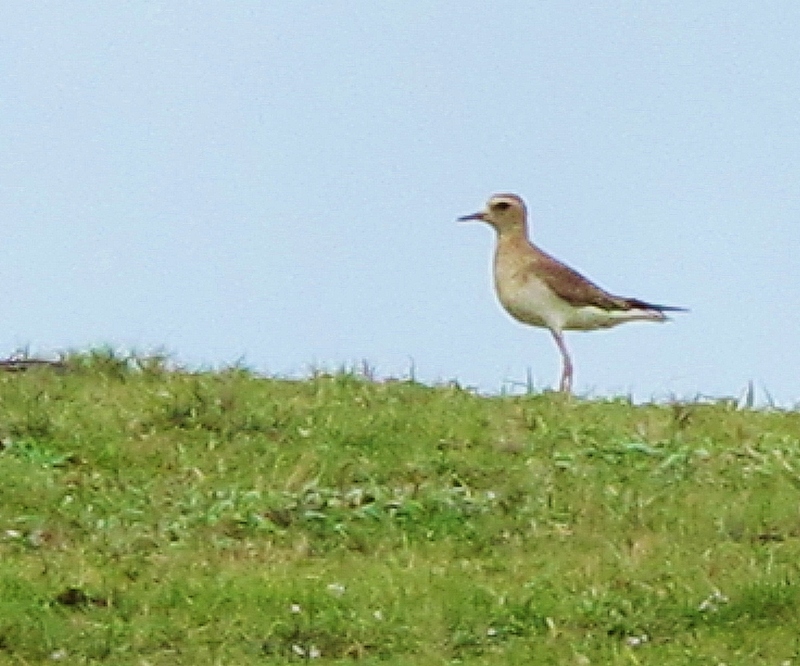 Birders usually connect with this often hard-to-find bird at Huisun, where I took this photo, but there are other reliable sites e.g. Maolin. 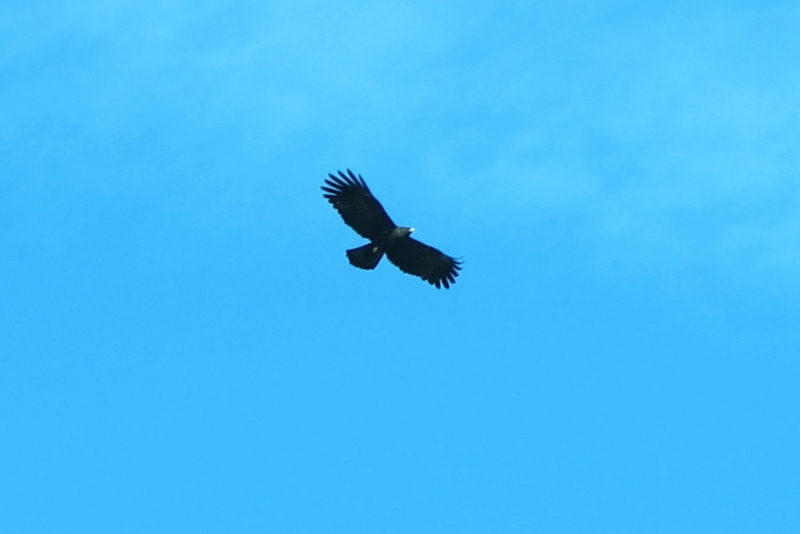 Black Eagle, Tengjhih National Forest. An uncommon and beautiful raptor of high mountain forests. I took this photo in Tengjhih where I see this species with some regularity. 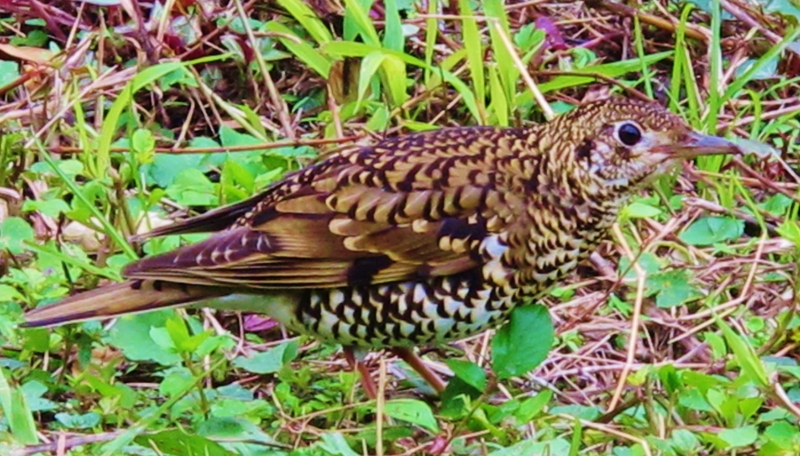 Scaly Thrush, Tengjhih National Forest. A classic East Asian species that is an enigmatic vagrant to Western Europe. When I was growing up, this was one of the birds I dreamed about seeing. 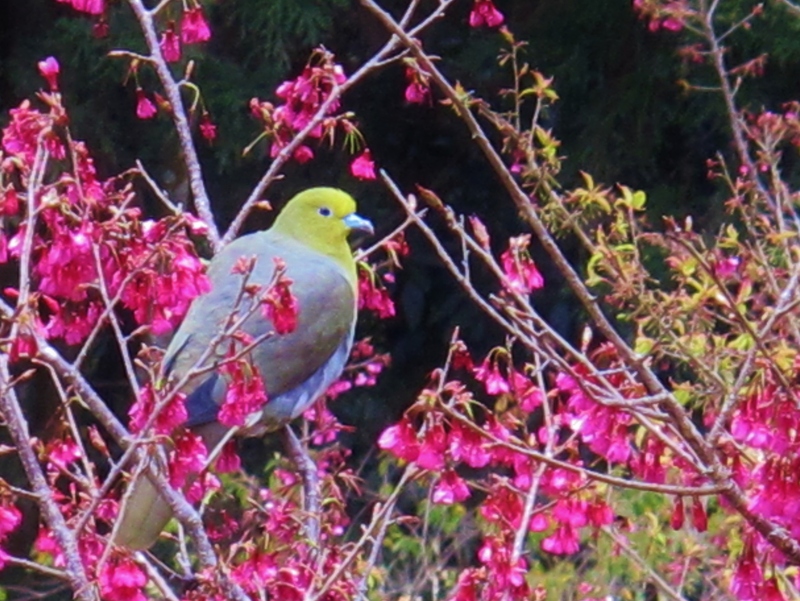 It’s good to report that they are fairly common – but usually shy – winter visitors to Taiwan. This individual was unusually confiding and allowed a very close approach. White-tailed Robin, Tengjhih National Forest. 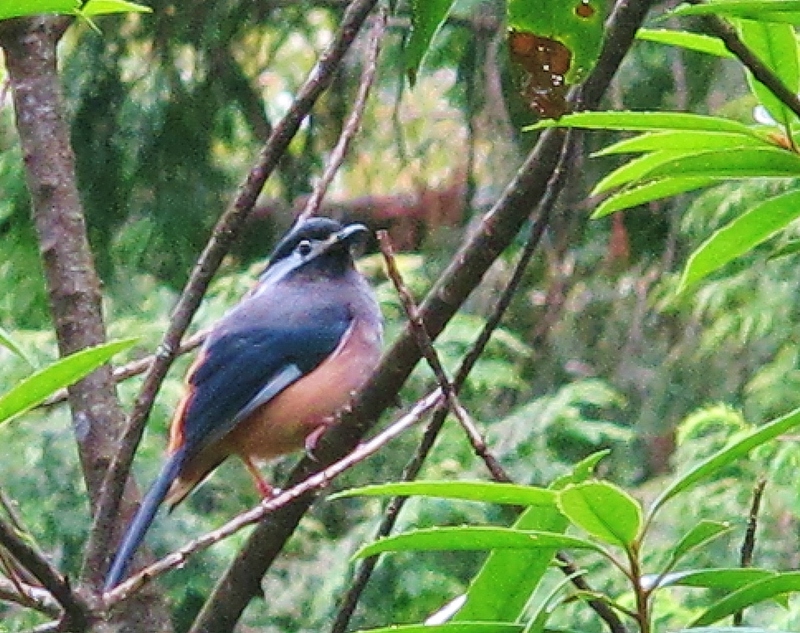 A jewel of a bird that’s not uncommon in shady areas of mid-elevation forests in Taiwan. 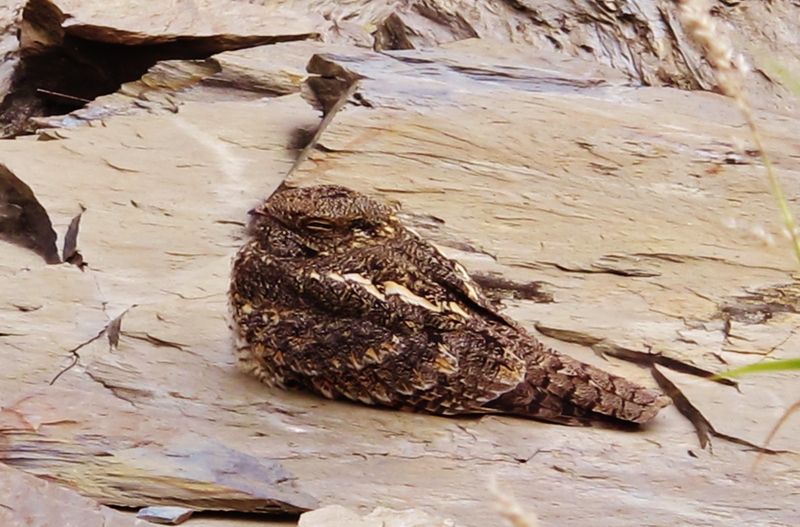 Savanna Nightjar, Wutai. A nocturnal inhabitant of dry areas, scree slopes and dry, rocky river beds. It is rare to find one at its daytime roost, but they rely on camouflage and therefore usually allow a close approach. Collared Finchbill, Wutai. A common resident of farmland and scrub in hills and low mountains. 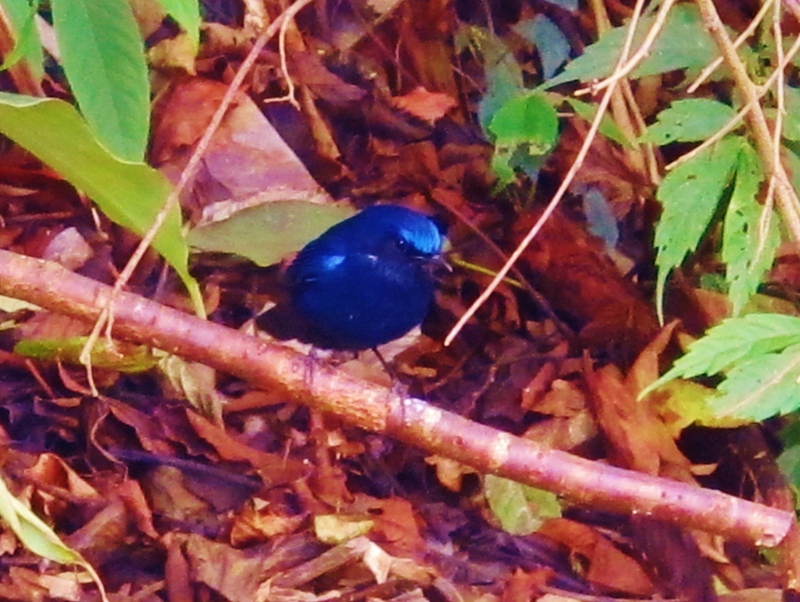 It’s not a full endemic species but Taiwan is probably the easiest place in the world to see it. Steere’s Liocichla and Taiwan Sibias, Tengjhih National Forest. Two for the price of one! 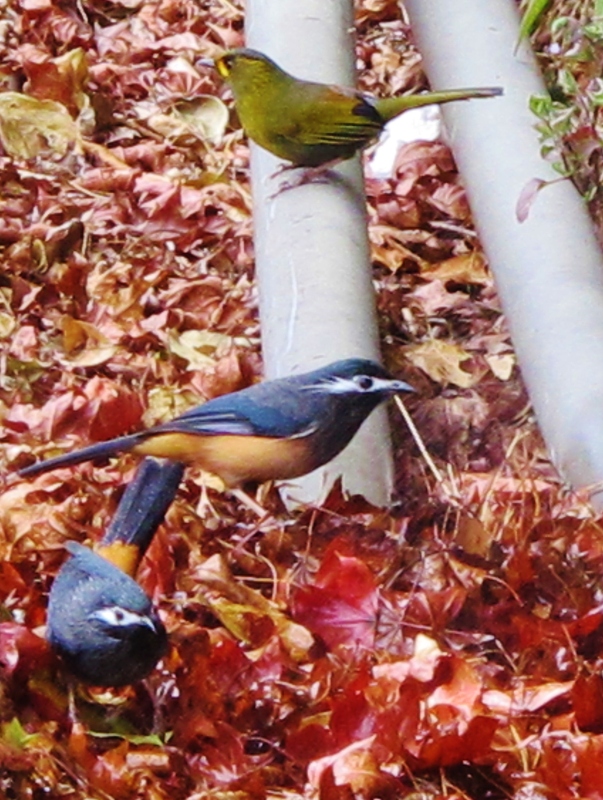 These birds were coming to drink at a leaking pipe by the roadside. They are both common endemic species of mid-high elevation mountains. White-bellied Green Pigeon, Tengjhih National Forest. A fairly common resident of mid-high mountains, these attractive pigeons are often found in pairs and small parties in flowering and fruiting trees. 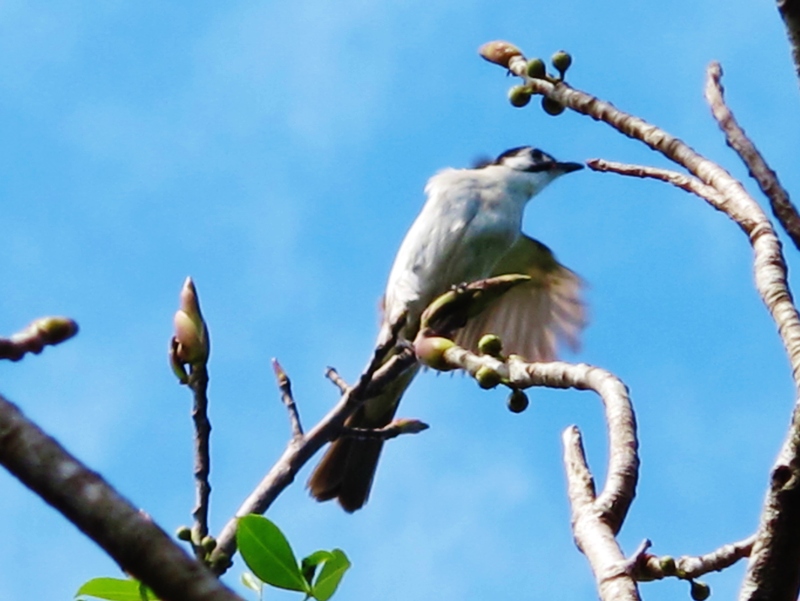 Taiwan Bulbul, Kenting. 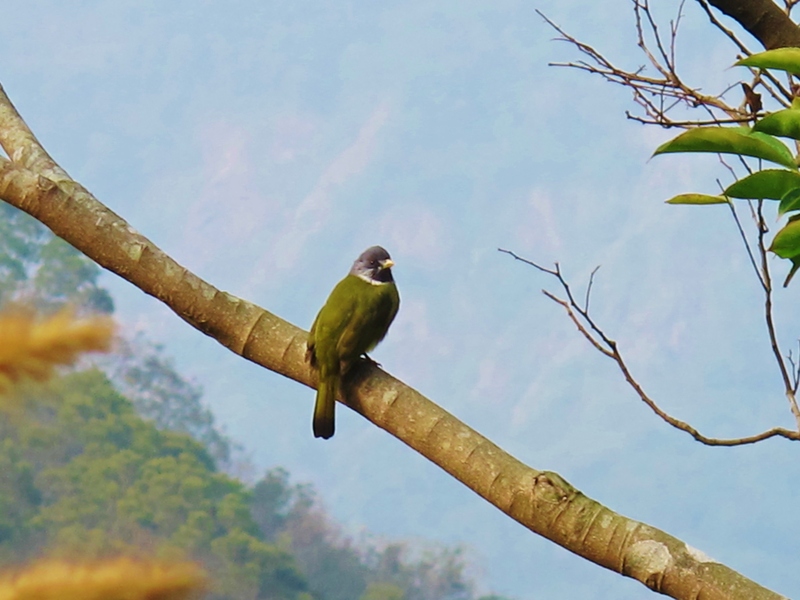 While still abundant on the Kenting peninsula, this endemic species is seriously threatened by habitat loss and interbreeding with the introduced – and increasing – Chinese Bulbul.